RT – News or Propaganda? 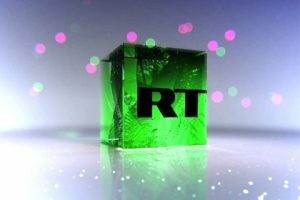 In 2015, RT (Russia Today), which has often been accused of being the Kremlin’s mouthpiece targeting foreign audiences, will receive $402 million (15.4 billion rubles), a 30 percent increase from last year. The cost of distributing RT around the world reportedly now exceeding the channel’s current 2014 budget. The BBC World Service budget, now subsidized by the UK public via the license fee, stands at £245 million ($375 million) a year. In the west are the BBC, CNN, Euronews, France24, Deutsche Welle, Al Jazeera International and the Voice of America, all broadcasting similar points of view on current events in eastern Europe to a likely combined price tag of several billion dollars; in the east you have RT broadcasting a Russian view to a world audience. Putting the conflict in Ukraine to one side, RT does cover stories that are not covered on any western news channels and does give an insight in to life and current events in Russia not available elsewhere in English. RT may well be ‘Putin News’, though viewers do have the option to take their news from many non russian western sources as well, not forgetting Ukraine’s Ukraine Today, which has a very different view of events in the region than RT.